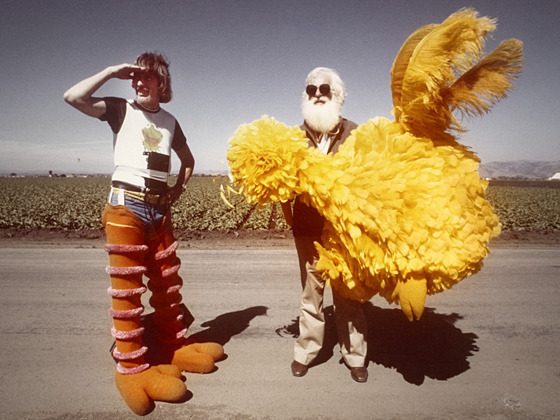 L to R: Caroll Spinney on location with Kermit Love who built the original Big Bird puppet from a design created by Jim Henson. Spend a few minutes watching Sesame Street, and you'll recognize some part of yourself in Big Bird. His kindness, curiosity and vulnerability resonate with everyone, young and old. But who brought Big Bird to life? Caroll Spinney is the man inside the Big Bird suit, and he has been since 1969. (He's also Oscar the Grouch). Dave LaMattina is the co-director, along with Chad Walker, of a documentary about Spinney. It's called I Am Big Bird: The Caroll Spinney Story. Spinney made his television debut in 1955, working on the local Las Vegas show Rascal Rabbit, then moved on to the East Coast and performed on Bozo the Clown. But he was looking for greater purpose in his work, and he found it. He met Jim Henson and began work on the pioneering children's TV show, Sesame Street. Spinney and LaMattina sit down to talk with us about Big Bird's physical and spiritual evolution, how the 80-year-old Spinney manages to maneuver in a full-body puppet suit, and how Big Bird has helped so many children and adults deal with loss, love and their own feelings. I Am Big Bird has been touring the festival circuit this spring, and we caught it as part of the Los Angeles Film Festival. You can find more information about the film on their website. Karina Longworth hosts the podcast You Must Remember This, which looks at some of the secrets of Old Hollywood. She joins us to talk about some of her favorite cinematic moments of the 1950s. 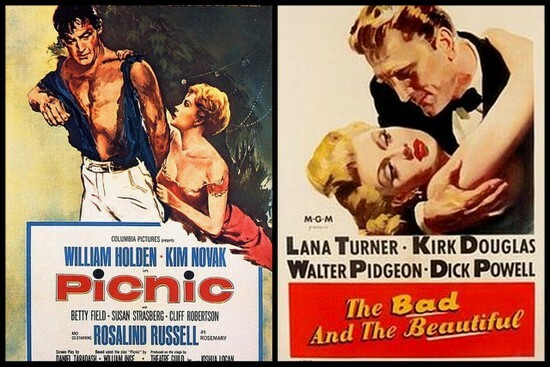 She suggests checking out 1955's Picnic. It's a movie about a handsome drifter who blows into a small town and wreaks havoc on the citizens' love lives. Longworth also recommends The Bad and the Beautiful from 1952, a self-reflexive movie about a manipulative Hollywood producer and the studio system. You can find Longworth's podcast on her website or in iTunes. Would you take career advice from a complete stranger? Ian Edwards did, and he's never looked back. He was working a fast food drive-through when a customer liked his banter and suggested he become a comic. Edwards has written for Saturday Night Live and the reboot of In Living Color. 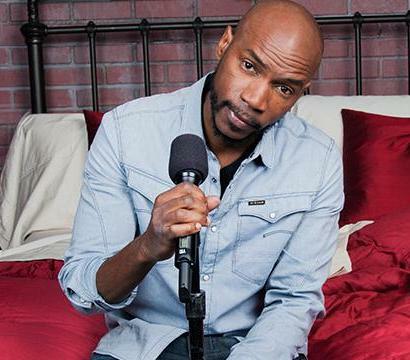 He's also performed on Conan and on Def Comedy Jam on HBO. He talks to us about moving (from England to Jamaica to New York City), finding his comedic voice, and the lessons he learned from the late Patrice O'Neal. His new album 100% Half-Assed is the first record on the new Team Coco label. We return to the Newm: Jesse delves into why the Randy Newman song "I Love LA" is ironic, but also sort of... not ironic? You'll see.